”In most people’s vocabularies, design means veneer. It’s interior decorating. It’s the fabric of the curtains of the sofa. But to me, nothing could be further from the meaning of design. Design is the fundamental soul of a human-made creation that ends up expressing itself in successive outer layers of the product or service.” Steve Jobs, CEO- Apple Inc.
For a generation that was completely awed initially by computers, later by the IT wave and the sweeping changes it brought worldwide; Steve Jobs was a nothing less than a Superstar .This was generation that really did not understand this new idiot box technology, was too scared to touch it; nothing could have persuaded many of them to learn to use it. They were quite happy with the good old ways of living, communicating, doing business. But then came this young man who devoted his life to creating some of the best computers human race was to see and also challenged conventions about personal computing. He created the new technology, transformed an industry and changed the way people all over the world think. The two Steves; Jobs and Wozniak, who sowed the apple seed by creating the Apple Macintosh computers in the 1970s, came up with a line of products that changed our lives forever and continued to send us on a higher plane of progress and excitement with their iPods, iPhones and iPads. People the world over went into a shock as the news of Steve’s resignation spread like wildfire, because to them Steve was indestructible, he was infallible, he was not only an ace designer but a shrewd entrepreneur, a seasoned businessman who had taken the task of turning Apple around, he was all that and above all he was a visionary, he was their Steve! When he came back to Apple in 1996, the company seemed headed for oblivion and it became Steve’s mission to bring it back to glory from the near-death experience it underwent in the 1990s. Everyone said that He came back because Apple had bought over NeXT, the computer workstation company he had started after being ousted by the Apple board in 1985. By acquiring NeXT, Apple got the operating system that became OS X, the software that underpinned everything Apple has made since. Steve not only let them have it but as its interim CEO at a salary of a single dollar a year ,picked up the gauntlet to fight competition and bring Apple back to its number one position in the market .Apple , under Jobs’ influence is probably the world’s best industrial design outfit, as it keeps on creating beautiful, functional and fantastic products, gets them to market in working order through the retail outlets, on time and to budget; and in the bargain creates millions of delighted and completely excited customers who adore the ground Steve Jobs walks on . He turned the company around without incurring a debt of a single dollar and today Apple sits atop a $78bn mountain: enough to buy other companies and still have surpluses left. But what is that one single fact the Steve brought in Apple to reincarnate it from near extinction? Is it his Design sense? Creativity? Innovation? Collaboration? He brought all this and above all it is the values that he brought in, as companies that are built around values that reach the top and endure longer. He was fanatical about design; the simple the better but it had to be “awesome’. He drove his design team up the wall with his relentless madness and they found him impossible to work with. He became known for his mercurial moods and demanding management style, he even changed the design of Apple’s retail shops to make them look more like clubs and hangout places for its customers and launched his products in events that earned him a reputation as IT industry’s greatest showman. Even as his health began to deteriorate he turned up at important product launches, where his loyal customers hung upon his every word, defended his every move. At his appearance at the launch of the iPad 2 earlier this year, he was greeted with a sustained standing ovation by his employees as well as customers. That’s how this charismatic leader built Apple into the world’s most valuable company by rewriting the rules of not only computer but music, movie, animation, and mobile-phone businesses. Apple today is definitely an extension of Steve’s personality and vision. Today he has Apple’s shares worth about $2.1 billion, and is the single largest Disney shareholder, with stock of about $4.4 billion. Today even the Former Apple employees remember his iconic leadership style and how he changed the way other Silicon Valley companies think about innovation. Timothy Cook, who takes over as Steve steps down, is mentored by Steve for the past fourteen years. And so are Philip Schiller, the marketing man And Jonathan Ive the design visionary who has really toiled along with Steve ever since he rejoined Apple. The announcement of Steve’s resignation as the CEO does mark an end of one of the most extraordinary careers in the business history of the world but Apple continues march forward on its path of creativity and innovation. And Steve will be there, as Chairman of the Board, as Apple employee number two, still grumbling, fighting , brainstorming And leading the company to greater heights of glory. 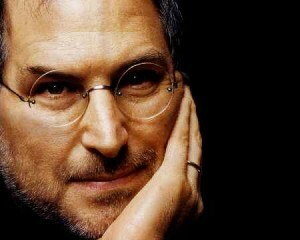 Steve Jobs will be remembered for being the best CEO in the world.